Obituary for Mary Jean (Aikens) Davis | Fager-Finkenbinder Funeral Home & Crematory, Inc.
Mary Jean Davis, 85, of Camp Hill, formerly of Bainbridge, passed away on Friday, March 15, 2019 at Colonial Care Center. Born Friday, February 16, 1934 in Sherman, NY, she was the daughter of the late Delmar E. and Myrtie A. (Wood) Aikens. She was the wife of David M. Hoernle, Sr. also of Camp Hill. Her first husband, Herbert D. Davis, passed away in 2002. 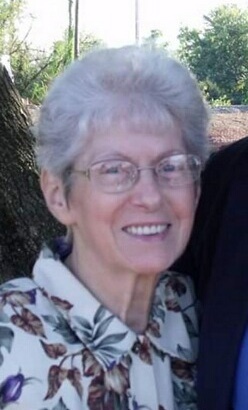 Mary Jean was a member of Valley Baptist Church, Middletown. She was a retired nurse’s aid and had worked many years at Masonic Village, Elizabethtown, as well as the Visiting Nurses Association. Mary Jean was also a foster parent to numerous children. She was very artistic, enjoyed gardening, traveling and singing. In addition to her husband David, she is survived by four sons: Darren L. Davis and wife Margie of Palmyra; Ronald E. Davis and wife Hoa of Harrisburg; Patrick J. Davis and wife Julie of Mount Joy; Russell W. Davis and wife Brenda of Bainbridge; seven grandchildren; two great grandchildren; two step children: David M. Hoernle, Jr. and wife Theresa of Sanford, NC; Barbara Crebs and husband David of Phoenix, AZ; Seven step grandchildren and four step great grandchildren. A funeral service will be held on Friday, March 22, 2019 at Valley Baptist Church, 1190 North Union Street, Middletown, PA 17057 at 11:00 AM. Viewing will be from 10:00 AM until the time of service. Interment will take place in Laurel Hill Memorial Gardens, Columbia. In lieu of flowers, contributions in Mary Jean’s name may be made to www.dav.org. Memories and condolences may be shared at www.FinkenbinderFamily.com. Arrangements entrusted to Fager-Finkenbinder Funeral Home & Crematory, Middletown.